Why is standing out so important? On the first encounter, a new browser will be captivated by your brand, remember you, subscribe to you, become a fan, and eventually turn into a customer. If you have a bland brand, nobody will remember your brand and blog or become a fan. Think of all the famous brands you know of in the world. Apple. Starbucks. Nike. They all do something different from the crowd, making them memorable and eventually popular. Pin me if you’re in a good mood! How to turn your brand from yawn to the bomb! A few years ago I had a particular rubbish mentality that I am so glad I got rid of. I thought that I could always put something out there, people would be attracted to it as long as I could get traffic to come. People came and went, some subscribed, but ultimately a sustainable business was not possible. I got all obsessed with the technical part of building a business but failed to provide that OMPH in my brand. People come and leave. You’ve to make them stay by being different. Your brand HAS to stand out in some way from the others. 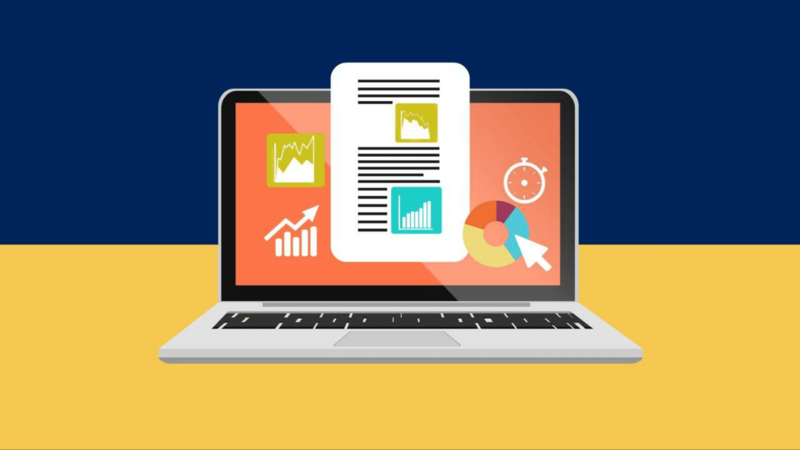 Why should people read your blog and not your industry leader’s blog? 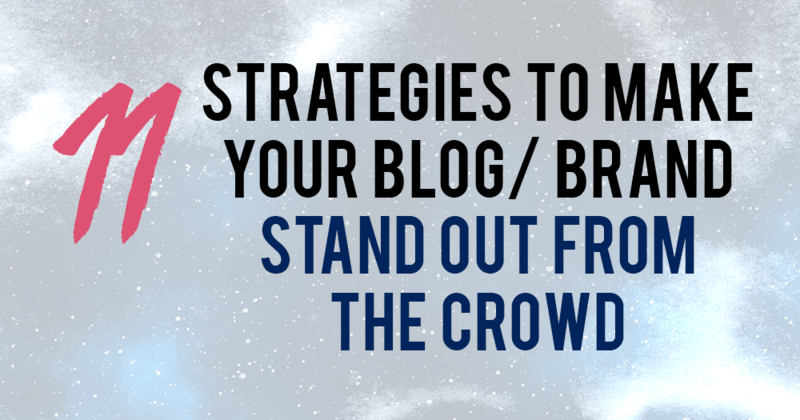 Here’s THE ultimate list of strategies you can adopt to make your online business stand out from the crowd. Have a style guide for your business. 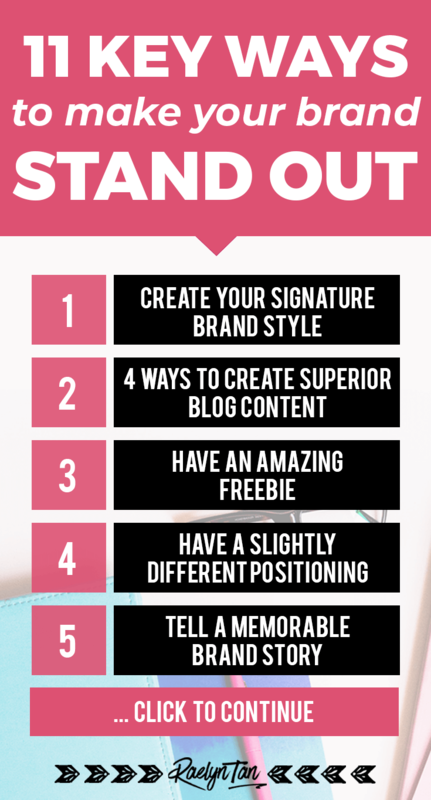 Have specific colors and design your graphics (for your blogposts/ products/ social media updates) in a consistent manner across all your content. Let’s think about this in an offline context. If you have a messy storefront that looks like your neighbor’s, would people stop and linger? For instance, I use specific fonts and colors for my blog and pictures so that people will recognize my brand. If you are on a budget, an awesome option to make your blog look awesome is to find royalty free stock images or feminine styled stock photos that make your blog more visual. Having a strong & consistent visual identity makes people remember you. You will also be perceived as a premium brand. I understand that when you’re just starting out, having a kickass website design that’s extremely pretty and off the charts is going to be difficult especially when you’re on a budget. I did this blog up with zero coding or design experience! In fact, I can’t even draw stick men properly haha. 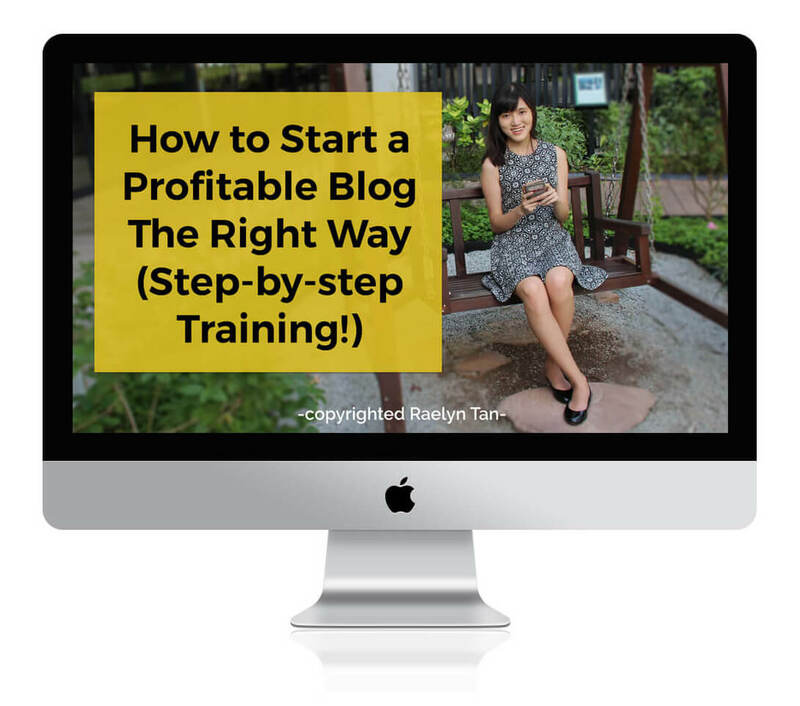 Make sure that you learn how to write a good blog post. I know it’s insane, but sometimes, creating a great lead magnet can just make your business fly. 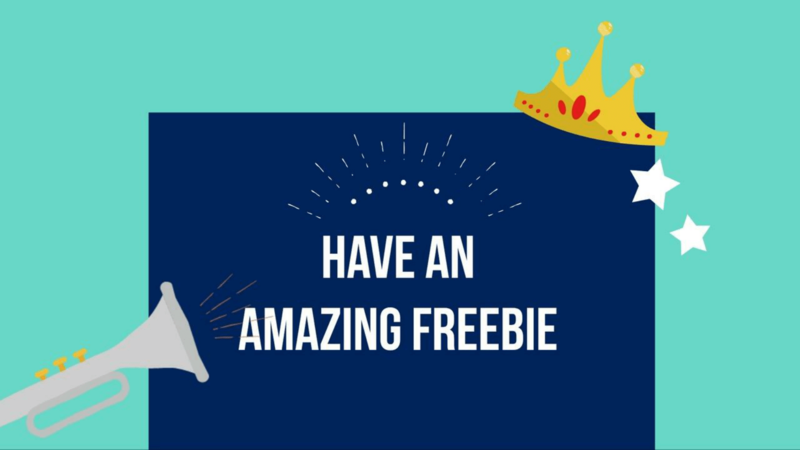 You get more subscribers from whatever traffic you have, plus you have a chance to create a great first impression if your freebie is real good! If you have a heart problem, would you rather go to a General Practitioner (even if he’s the best in the world), or a Cardiologist with a great track record? 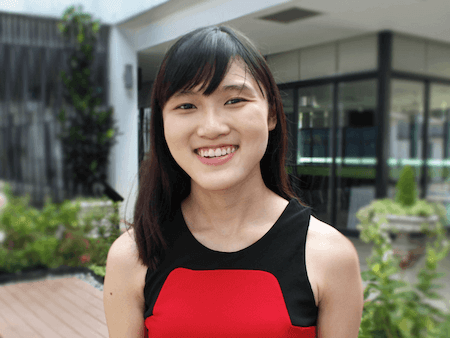 By niching yourself down, defining your target audience and specializing in a particular area, your brand can dominate an individual small niche. For instance, I position myself as a traffic strategist for bloggers because I want to specialize in helping invisible bloggers get more eyeballs. If you’ve achieved great results in your niche, don’t be embarrassed to toot your own horn. People pay for results; they don’t pay to do more work! 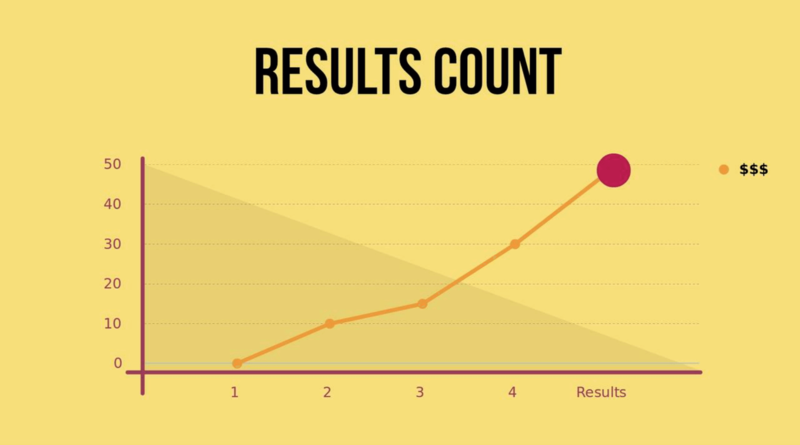 Talking about specific results makes people listen. What have you achieved to justify that you know what you’re talking about, and are you incorporating it into your online business? We’re all humans. We like to connect. Create a loving, supportive community, and people will come because they want a connection with other people with similar goals. I thought very carefully about how I was going to create a community for my blog. Building a community was particularly challenging for me as I am the kind of person that goes to a party and feel awkward when my friends are not around. How was I going to host a group of strangers and get them to talk? I decided to create a Facebook mastermind group nonetheless and am trying my best to grow the group using certain strategies. Here’s a post I wrote on the lessons I’ve learned while growing my Facebook group. Have a great story to accompany your business. Most of the time this goes to your about me page and when you introduce yourself (Eg during webinars, teleseminars, online summits and more). What separates a good story from a bad one? Don’t overcomplicate coming up with a good story. When I was trying to figure out what story to say, I decided to talk about me as a baby (because everyone loves babies). Make sure your story isn’t boring and is something that inspires/ interesting/ shocking/ brings happiness. Have you ever seen how certain market leaders/ industry leaders can have so many sales even though their product is mediocre? They’re great at marketing themselves. Make your brand messaging is super intuitive and clearly communicated. When people think of your brand, what will they have in mind? How can you communicate your knowledge and value in a way that is clear to your potential customers? Make sure your website is organized. Are you focusing on too many topics? How do they all link together? What do you want a new reader to be exposed to? Most brands have the same content, but it is how they organize all their content together that makes things different. A breakthrough product in the industry that nobody is offering and solves a significant problem? Yes, please! Aim to create the best product in the industry, and word-of-mouth will ensure that it sells for itself. For me, that will be my signature traffic + list building course, Traffic Subscribers Yours. It is my signature system that will give you everything you need to grow your traffic and email list – get your first 1K subscribers in the next 60 days! If you are interested in monetizing your business by creating an online course like me, I highly recommend that you do so. You can easily create a course with Teachable – check out this link for a webinar to learn how to do so. I love teachable so much because all you need is your content and it will handle everything else for you – whether it’s video hosting, creating a stunning student platform, sales pages, and much more! Click here to sign up for Teachable and get your course creation started! I know this blog post has an awful lot of content to digest – but you can always bookmark this post and come back again and again! Do you have a consistent brand style? Is your website design amateur or professional? Can you confidently say that your content is the best of its kind? Do you have a lead magnet(s) that consist of your best work? Have you positioned yourself in a unique way that differentiates yourself? Have you incorporated your achievements into your business so that people can know, like and trust you? 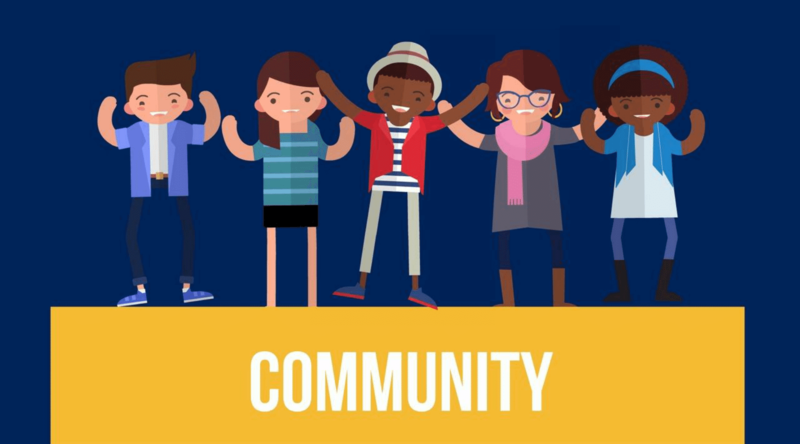 Is it possible for you to create a loving & supportive community? What’s your personal story and how can you build your business around an unforgettable, authentic story? How are you promoting your content/ products/ services? 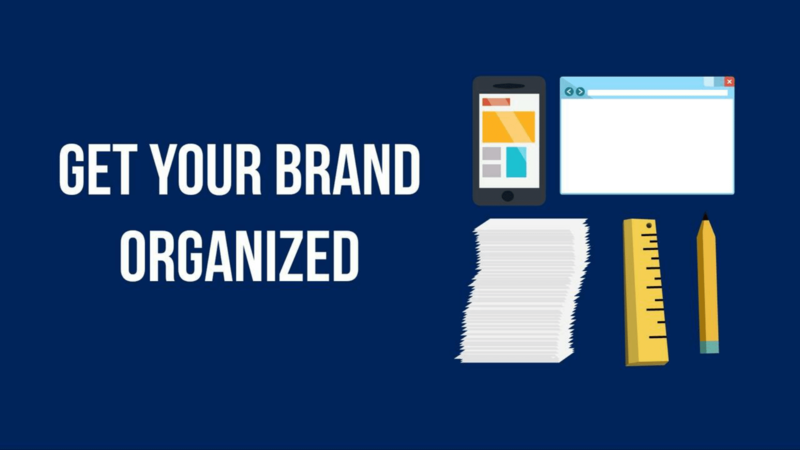 Is your brand organized or a mess? Is your product the best or just another one in the crowd?